Overview Museo Sans gently unsharpened... that's Museo Sans Rounded. It doesn't have italics, but is does have a very heavy 1000 weight. The spacing and kerning has been optimized for display use. 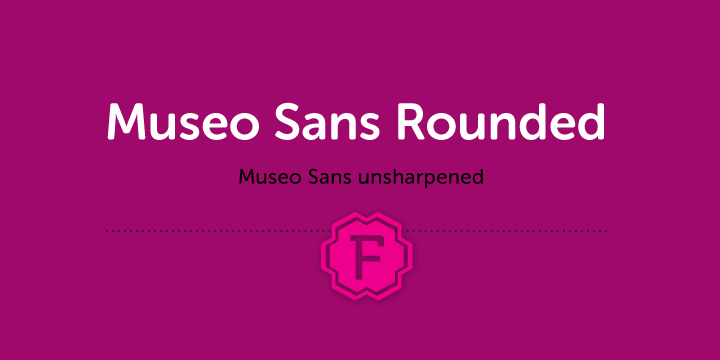 Museo Sans Rounded was designed by Jos Buivenga of exljbris Font Foundry.